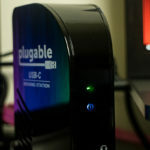 I’ve been using the StarTech USB-C to Dual DisplayPort MST Hub since I received it, and I loathe to admit it’s slipped through my coverage cracks because it’s run flawlessly, hooked up to my OWC Thunderbolt 3 dock, running two 27″ monitors for months now. It’s nice to report back on a piece of tech that I feel I’ve tested so very thoroughly, and it’s nice to have nothing but good things to say about it. This particular adaptor is a slightly different flavour of the Mini DisplayPort to Dual DisplayPort MST hub I tested back in May 2017. The key difference, however, is that instead of needing both a USB port (for power) and a Mini DisplayPort (for the video signal) it combines these two things into a single USB Type-C port, making for a tidier and more graceful setup. 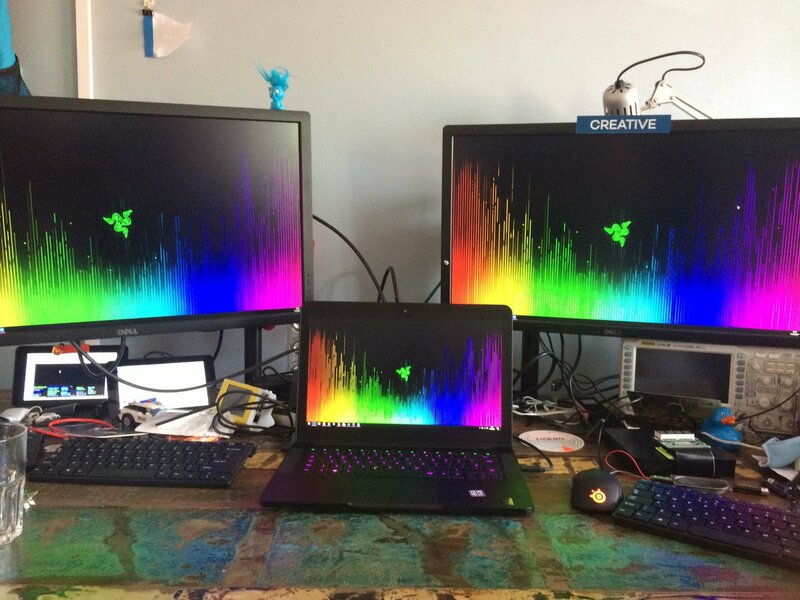 When I first got my Razer Blade laptop I realised that it could only, normally, support one display out via USB-C. This was a little disappointing for me, because I wanted to drive the two 2560×1440 Dell Displays I’d been using previously with an Intel NUC, but didn’t want the hassle of plugging in both an HDMI cable (which doesn’t work all that well with these displays anyway) and a USB-C cable. Fortunately I discovered Multi-stream Transport, a way of stuffing the signals for multiple displays through a single DisplayPort connector, and then splitting them out afterwards. This technology was intended for daisy-chaining DisplayPort monitors, but it just so happens to work beautifully with a splitter, too! And that’s what StarTech’s MST hub is. Just like the USB/DisplayPort version, the MST hub is in an unassuming cardboard box with a basic getting-started guide. It foregoes the usual extruded aluminium that houses many of StarTech’s products in favour of plastic. It’s good plastic, though, and you’d be forgiven for thinking it’s aluminium since StarTech don’t mess about with build quality. 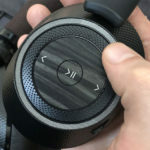 The matte black looks premium and doesn’t stick out obnoxiously at the back of my desk like a white/silver adaptor might. I think I prefer it. That said, the back of my desk is a spaghetti mess anyway with no real cable management to speak of. Since MST is built-into Windows no drivers are required and you can plug and play as if you had two DisplayPort connections in your computer. On Windows 10 my integrated Intel GPU is connected to the Thunderbolt 3 port, so Intel’s Graphics Settings notified me about a new “DisplayPort Topology” once the MST hub was connected. 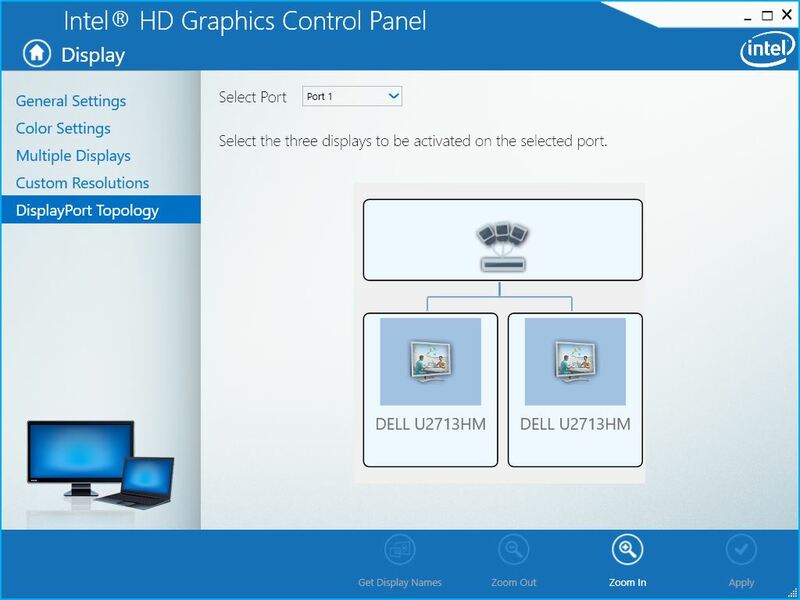 If you should connect an MST hub with 4 ports, the DisplayPort Topology tab in Intel HD Graphics Control Panel gives you the opportunity to pick and choose which three displays you want enabled. 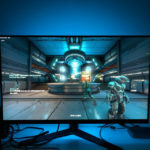 Intel’s integrated graphics only support up to three connected displays, and on my Razer Blade laptop one of those is the built-in screen. The MST hub didn’t seem to care what resolution I wanted to send to my monitors. Despite them being 2560×1440 native I could change right down to 800×600 on one of the displays with absolutely no ill effect on the other. 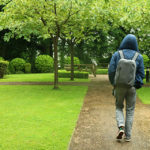 This is in stark contrast to some display splitters which combine multiple screens into a single display or output the same picture onto multiple screens. Really the only thing that separates this MST hub from the mini DisplayPort version I reviewed previously is that the power/data are combined into a single USB Type-C cable. This is great for a couple of reasons; 1. my laptop doesn’t actually have a DisplayPort connector, I was relying on my OWC Thunderbolt 3 dock to provide that. And 2. it’s one less USB port wasted to supply power, which is a pretty big deal if you’ve only got 3 in a laptop. This MST hub plugs right into my Razer Blade, turning the USB Type-C port into two full-sized DisplayPort connectors, both of which can support a 2560×1440 display. Granted, the bandwidth limit of DisplayPort means they can’t go much higher, but that’s plenty of display for my purposes. Since the Razer Blade can’t be charged over USB Type-C there’s not much lost by cutting the dock out of the equation altogether, and if you had a dual screen setup at work/home and wanted to save a fortune on docks it’s not a bad way to go. Many laptops will charge over USB Type-C though, so if you’ve just got a solitary port then this might not be the best use of it. 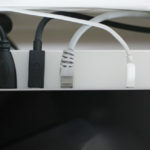 Interestingly, precious few Thunderbolt 3 or USB Type-C docks include more than a single display output connection so you might find you need to daisy-chain one of these into your setup anyway. In conclusion, this hub has been absolutely bulletproof and has been the nucleus of my dual display setup for months. 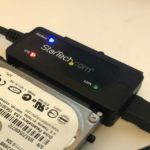 If you have a laptop- like mine- that doesn’t natively support two DisplayPort connections via its Thunderbolt connector then I couldn’t recommend it enough. 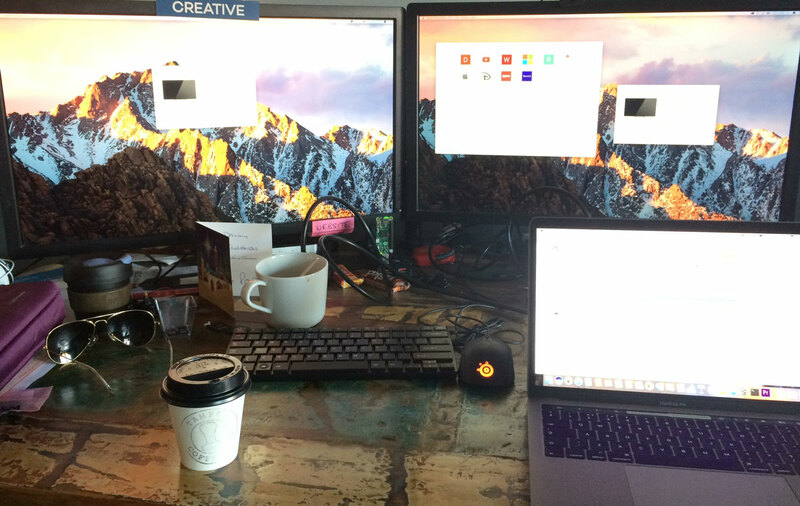 However, if your laptop supports two displays natively it’s not the best choice. 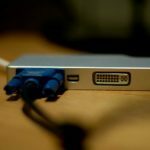 You should be considering the Thunderbolt 3 to Dual DisplayPort adapter instead. 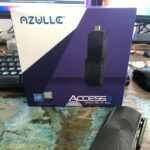 This entry was posted on Thursday, January 18th, 2018 and is filed under Computer Gaming, PC, Personal Computing, USB Type-C and Thunderbolt 3.